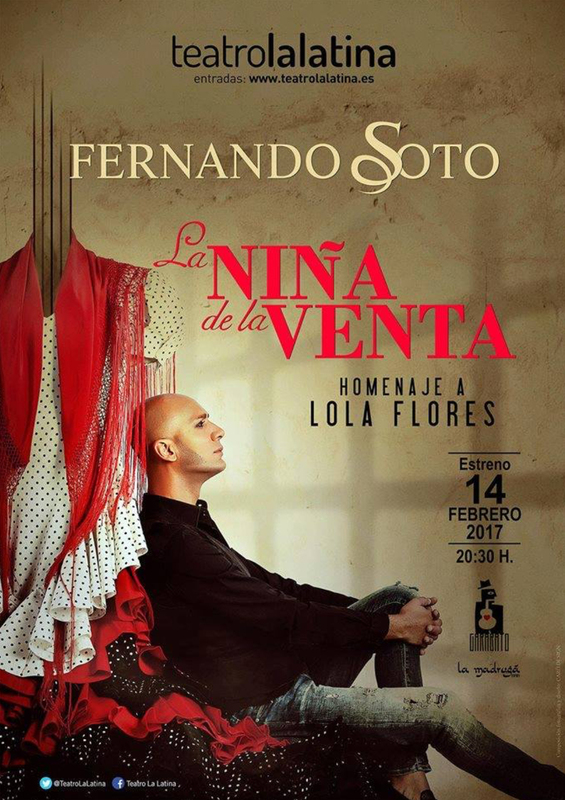 As a special Valentine’s Day treat the Flamenco singer and dancer, Fernando Soto from Jerez de la Frontera presents his homage to Lola Flores – La Niña de la Venta at the Teatro la Latina in Madrid, for one day only. The homage takes its title from the 1951 film of La Niña de la Venta which was the last that the artistic partnership of Lola Flores and the flamenco cantaor Manolo Caracol made together. The film was directed by Ramón Torrado. In this short clip, you can see Manolo Caracol as the owner of the bar with cigar and the wonderful performance of Lola Flores which is so full of life. Fernando Soto has been singing since he was a young boy, seeped in the traditions of flamenco. However, he has always been attracted to lyric songs and Lola Flores has been his muse, along with Manolo Caracol. On his first recording, Fernando Soto recorded a duet with a the recording of Lola Flores singing Limosna de Amores (Fernando Soto, 2011). Here he is singing Limosna de Amores live with his cousin the Flamenco singer Pitingo. Naturally, his Madrid Valentine’s Day première performance of La Niña de la Venta was SOLD OUT, however, there will be further performances this year in Barcelona and Valencia.